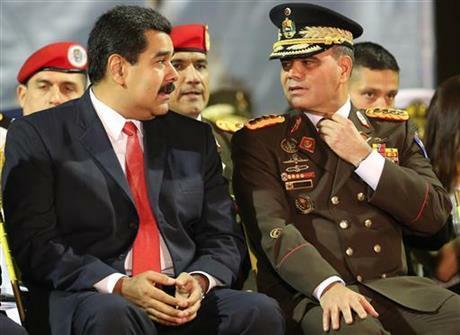 LOONY LEFTY: Venezuelan President Nicolas Maduro at an anti-imperialist rally this month. A year ago I designated oil-rich Venezuela the Caribbean North Korea. My rationale: the very economic catastrophe Venezuela’s ruling socialists have created has turned out to be one of their best political survival assets. It works like a charm, actually. When people are too busy standing in epic queues for scarce milk, antibiotics and toilet paper, they don’t have a lot of time to work for regime change. Especially when generals are the regime’s bodyguards. So I reasoned Venezuela’s loony left would probably be in power for a long time to come. And so far, sadly, I’ve been right. So I’m doubling down, chamos. I hereby declare Venezuelan President Nicolás Maduro – who just autocratically shut down the country's Congress – to be the Caribbean Kim. Aka the Caracas Kim. As in Kim Jong Un, North Korea’s own loony leader. Maduro doesn’t have missiles that explode seconds after launch, but he’s been working overtime to go tinpot toe-to-tinpot toe with Kim. His unhinged radio and TV shows – during which he dances salsa and tells Venezuelans to stop bellyaching about their empty bellies – would look at home in Pyongyang. So would Maduro’s absurd threat this week to jail Luis Almagro, secretary general of the Organization of American States. Almagro is pushing to suspend Venezuela from the hemispheric body – and a surprising number of OAS nation members are considering it during debate in Washington this week. 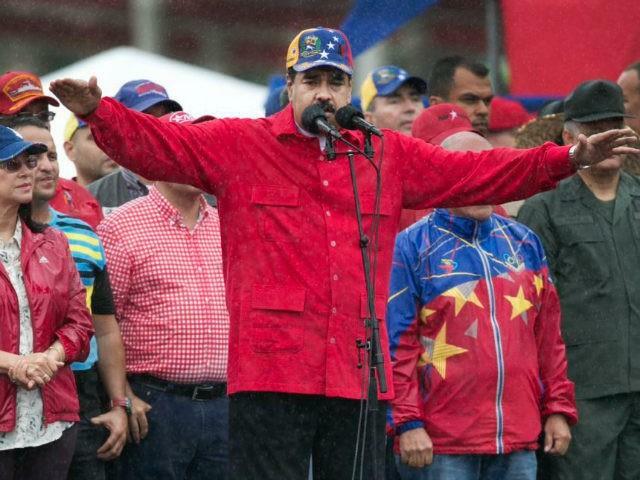 Their reason: aside from starving its population, the Maduro regime has morphed into a paranoid, scapegoating dictatorship that’s kiboshed elections and jails anyone who hurts its feelings – the way, say, Almagro has. Maduro doesn't have missiles that explode seconds after launch, but he's been working overtime to go tinpot toe-to-tinpot toe with Kim Jong Un. But I mention this less to mock Maduro – my Spanish can be unintelligible sometimes – and more to recall a Venezuelan girl I once taught at a school in a Caracas slum. Her name was Norka. She was 9, and she was one of the most talented English language students I’ve ever met. Norka would be about 40 today. She most likely supported Maduro’s predecessor and mentor, the late Hugo Chávez, who brought his populist revolution to power in 1999. Norka would have been a Chavista then because the corrupt elite that ruled Venezuela pre-Chávez utterly disregarded pobres like her and her family. Norka’s parents hoped learning English might be her ticket out of the slum. But before Chávez they believed the deck was stacked against her no matter what she did. And now, 18 years later? The deck is probably still stacked against Norka no matter what she does. Maybe she became fluent in English. No importa. Doesn’t matter. 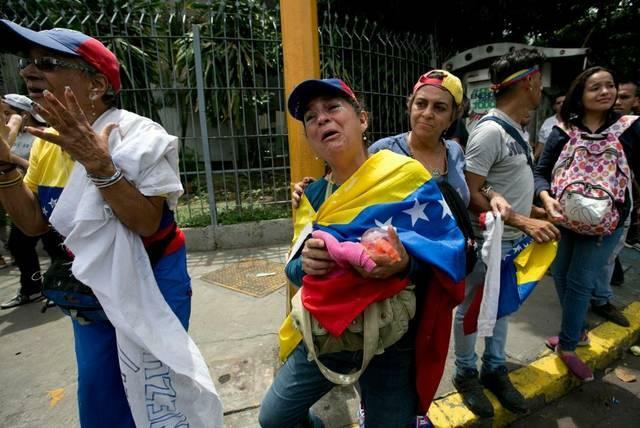 Thanks to the worst economic implosion in modern Latin American history, she most likely can’t find enough food for her kids – who are probably malnourished thanks to what Venezuelans sardonically call “the Maduro diet.” And if they get sick? 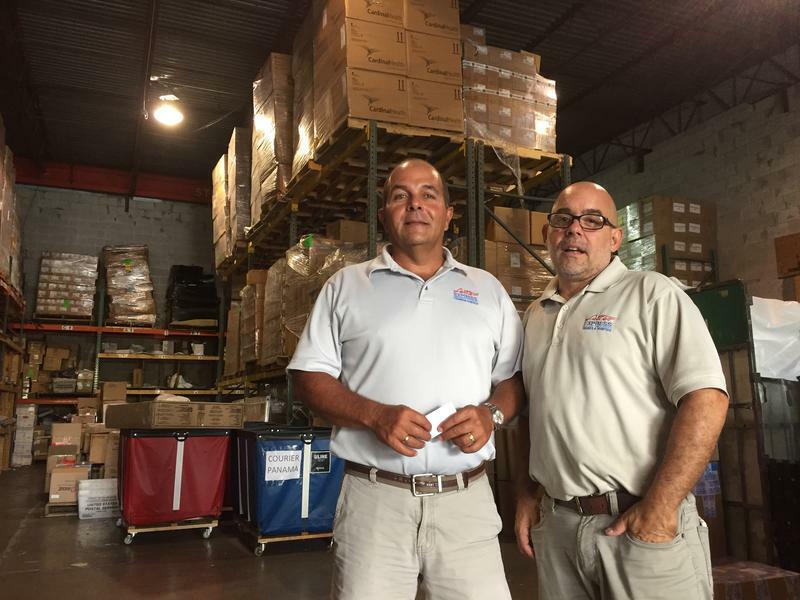 Unless you’ve got relatives in South Florida who can ship meds to you, forget about filling a prescription. The pharmacy won’t have it. Even if it did, whatever money Norka has is hemorrhaging its value by the hour thanks to hyperinflation. She probably hoped the political opposition – which won control of the National Assembly in a landslide 16 months ago – would steer Venezuela’s economy away from the Angel Falls-high cliff it’s hurdling over. But the Caracas Kim has now all but liquidated the Assembly. 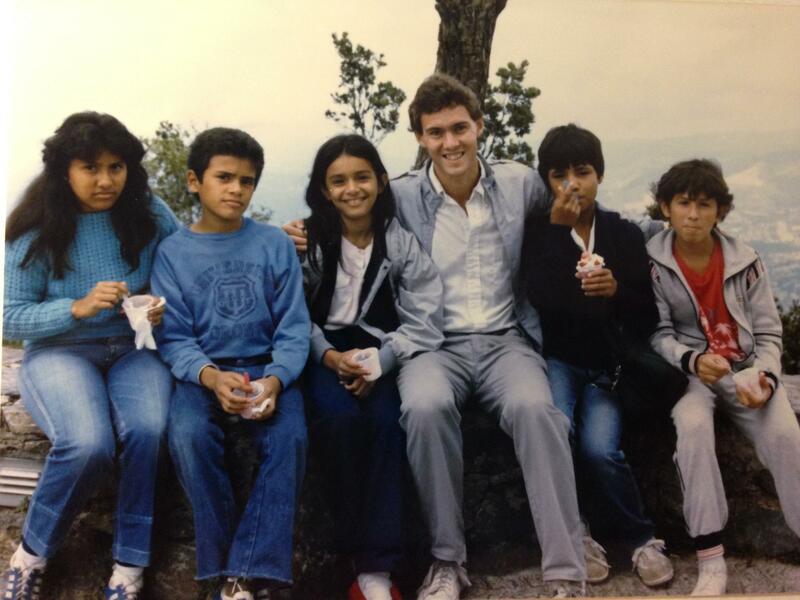 A much younger and thinner Padgett with Venezuelan English language students in Caracas in 1986. So if the OAS does suspend Venezuela, I’d like to find Norka – provided she hasn’t fallen victim to the worst violent crime and homicide rates of any country in South America. I’d pay for her taxi to the Miraflores presidential palace – where she can tell Maduro how he and his deranged revolution destroyed her hopes just as cruelly as the ancien régime did. Not that it would make any difference – just as the OAS suspension itself would make no real difference. Because whether it's Korea or Caracas, the loony left is fatally incompetent at everything except this: cruelly hanging on.